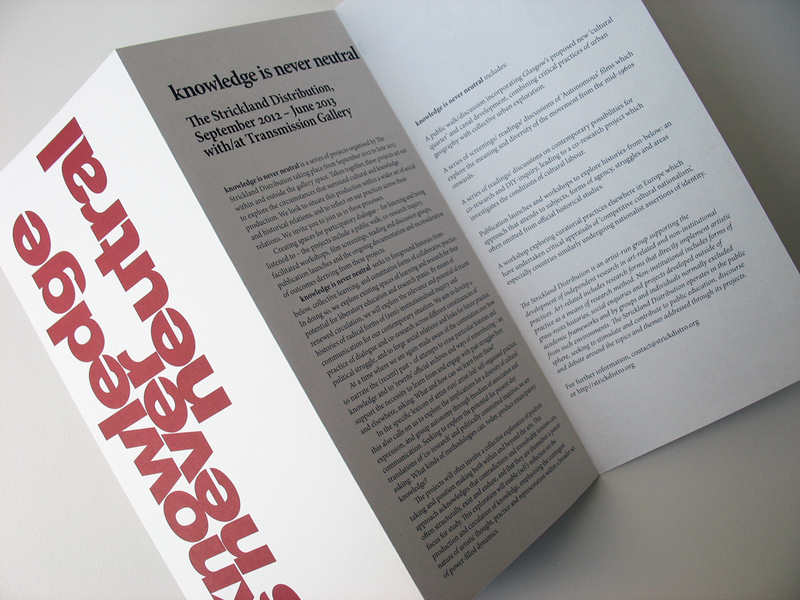 This is the second leaflet for knowledge is never neutral, a project organised by Strickland Distribution with/at Transmission Gallery, Glasgow, September 2012 - June 2013. The project overview leaflet (shown above with full-bleed red cover) and the first leaflet, for an event called austerity urbanism, were designed by me; but this leaflet, for Co-research, is the first to be designed by Transmission Gallery using my template and set of guidelines for placing text and images. It's pleasing to see how the designer has followed my guidelines and it's interesting to see how they've adapted my design to accommodate a different kind of information. 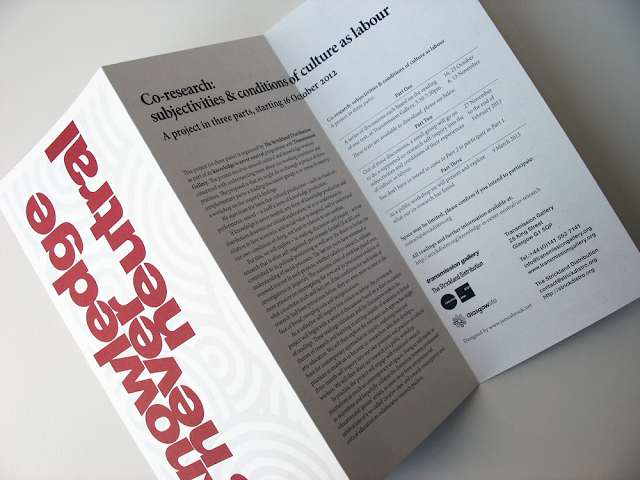 I especially like the grey pattern behind the text on the cover. 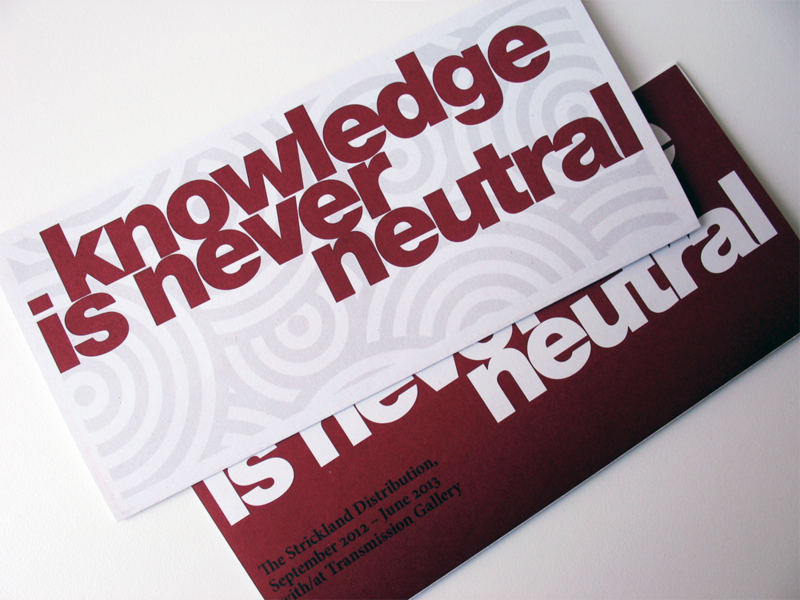 These two leaflets have been printed on a greyish uncoated paper, which I had planned for the first two leaflets - deadline constraints meant that they were printed on a semi-matt coated paper. The project continues until June 2013 - I look forward to seeing how the design evolves over that time. 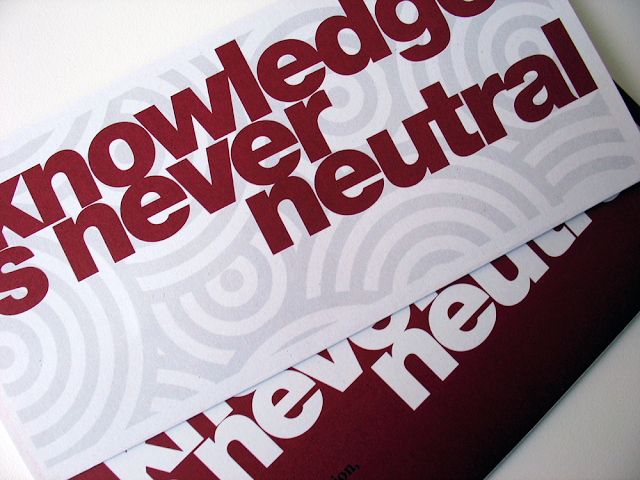 See the first part of knowledge is never neutral here.